It is really easy to buy powdered chicken stock or liquid chicken stock. However, it is equally easy to make your own chicken stock after you have roasted a chicken (or turkey). 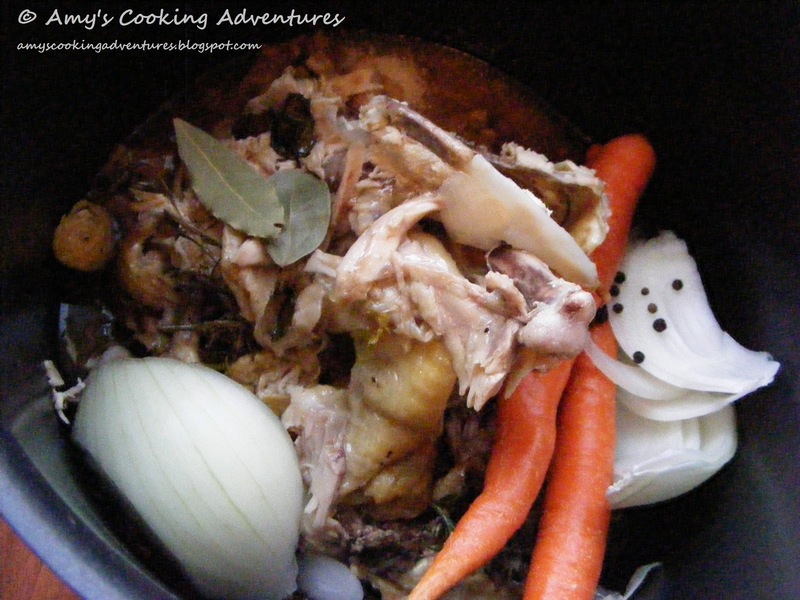 To make your own stock, you just throw the chicken carcass and juice (gross, I know) in a big ‘ol pot with some onion, carrots, celery (if you have it) and spices and let it boil away for an hour. Then strain all the gunk out, freeze it, and you have some spiffy chicken broth the next time you need it. I used the carcass from a 3 ½ pound chicken and ended up with 12 cups of broth when I was done - that is 3 of those boxes of broth you buy at the grocery store! Cool! Place all ingredients in a large soup pot. Add enough water to cover the carcass by at least 2 inches. Bring to a boil. 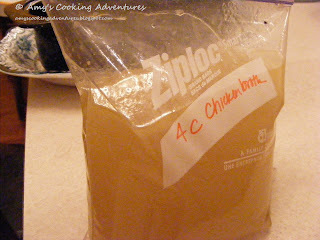 Place in freezer bags or freezer safe containers (I froze 4 cups of broth in each bag.) Freeze for up to 3 months. To thaw frozen broth, simply place the freezer bag in a bowl of hot water for about 10 minutes and use.